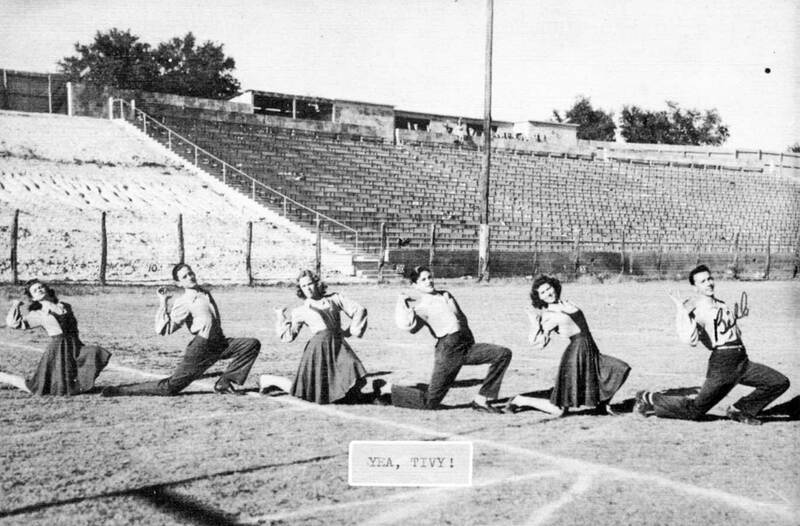 Tivy Cheerleaders, from the 1963 "Antler,"
the yearbook of Tivy High School. This week a kind reader brought by six different editions of the "Antler," Tivy High School's yearbook, adding 1945-48, 1961, and 1963 to my collection. It was timely having these arrive at the beginning of 2019, when I've busy building budgets and plans for the new year, the part of the year when I'm most focused on time, especially the year just completed and the new one unfolding. 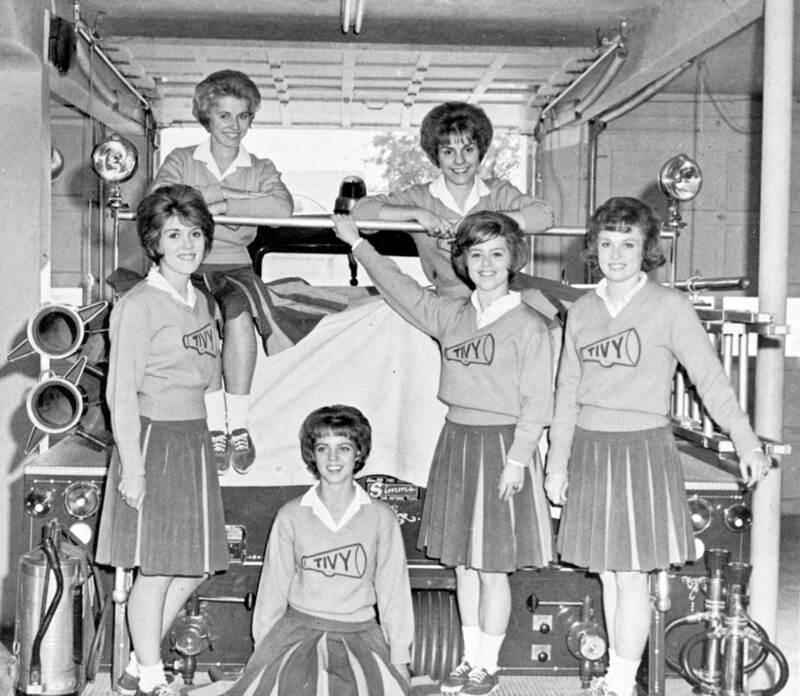 This thinking about time continued as I read through the yearbooks, seeing familiar faces from the 1940s and 1960s involved in activities I remember from my own time as a Tivy student in the late 1970s, activities which continue at the school today. It reminded me much of small-town life repeats each year. 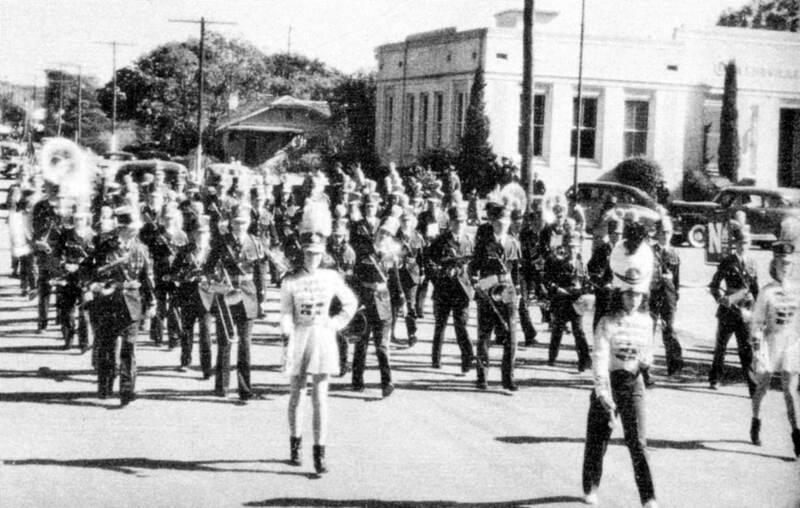 The yearbooks show young people engaged in high school traditions: academics, sports, clubs, music and socializing. The tone of the book from 1945 is not that much different from the 1963 edition. The students and most of the faculty are different folks, of course, but the books show young people who look happy and bright, busy at school. 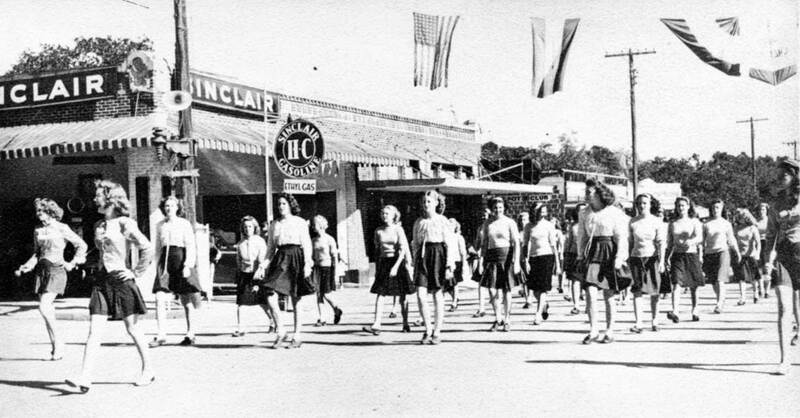 There were senior class plays and dances in the gym; roller skating at the "Point Inn;" football and basketball; homemaking classes and future farmers. As always, a few students were put in the spotlight: most beautiful, most popular, best all-around. Some of the clubs from 1945 reflect the war still raging all over the world. There was a U. S. O. club, which helped with Red Cross projects, and waste paper drives. The war didn't end until the summer of 1945. The yearbook also featured hundreds of hand-drawn illustrations, and had the words to the Tivy Fight Song and Alma Mater printed in its pages. The senior class of 1946 had a page dedicated to their baby photos, which are wonderful. The 1946 book has more pages and photos, too, than the previous year. I'm guessing supplies were available after the war. The 1947 book introduced some color to its pages -- not in full-color photographs, but in accent colors announcing the different sections. 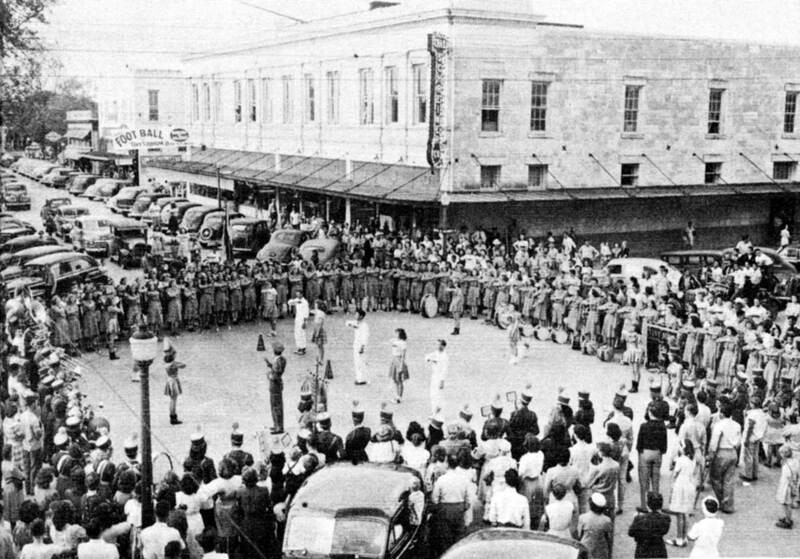 The book has quite a few photographs of downtown Kerrville, too. In 1948, many of the students' photos included nicknames, and I wondered if these were names the students picked themselves. Other students had a career listed after their name, such as restaurant owner, or nurse, or coach. A few of the girls listed housewife; a few of the boys listed rancher. The two books from the 1960s show a lot of technical innovations. The photos are better, and the typesetting is also better. I guess only a printer would notice these things. I was surprised to find several familiar faces among the students, having never realized they were raised here and were Tivy graduates. Some people think time runs in a straight line, and some think time is like a pendulum. Others believe it is like a circle, with the seasons going round and round. Reading through these yearbooks made me think time was a straight line for individuals, but more like a circle for communities. Joe Herring Jr. is a Kerrville native who graduated from Tivy many, many years ago. This column originally appeared in the Kerrville Daily Times January 12, 2019. My books are available here, with FREE SHIPPING.